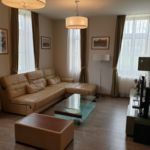 Rooms, services Guests looking for accommodation in Sárvár are welcome to book 33 nicely furnished rooms at Vadkert Major Sárvár. The hotel offers chield-friendly services, which will assure a pleasant stay for the complete family. You may also take your pet along for your stay, the hotel is prepared for to host it. An additional fee applies to reservations with pets. You are also welcome at the hotel for a fine local meal in the restaurant. If neccessary, you may park your car at the parking place of the hotel for free. Refreshing wellness services will be available on the spot, for the details please check the information sheet. 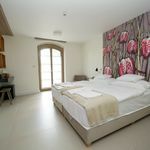 Thanks to air-conditioning being in operation in some of the rooms, you can also easily refresh yourself on warm summer days (please take a look at the information sheet of each room to see if it has air-conditioning). At the hotel you may go online via wireless Internet connection (WiFi). 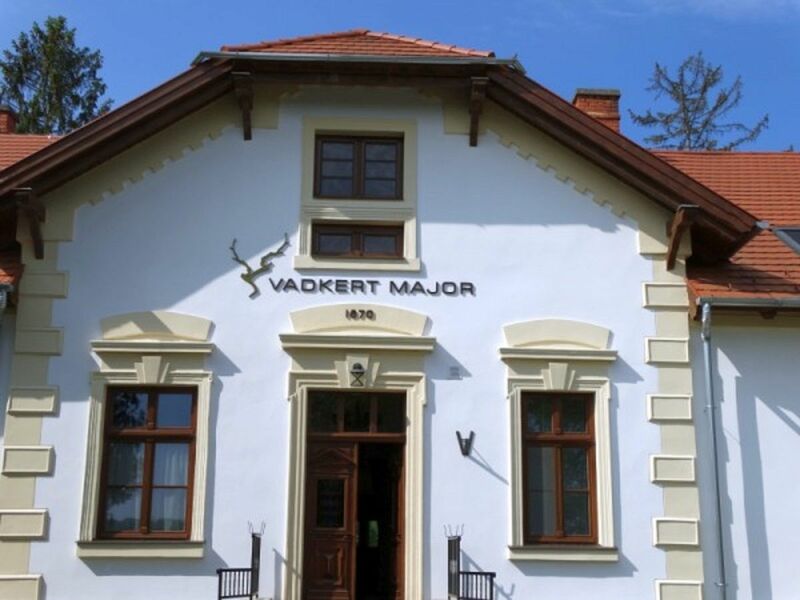 To learn more about the exact range of services of Vadkert Major Sárvár (including services for an extra fee) and the exact equipment of the rooms, please check the information sheet below and the information sheet of the respective rooms. Location The health spa of Sárvár is 100 meters away from the hotel. Catering The display prices include rich, tasty breakfast for every day of your stay. As the type of catering half board can also be requested when placing the reservation. Additional offers, payment Besides standard reservation a special deal is available to you, the details of which you will find at the "Packages" section below. The hotel is offering you the following methods for payment: cash, bank transfer, credit card. Arrival, opening hours The earliest time of check-in is 14:00, the latest time of check-out is 10:00. You will be able to speak with the personnel in English, Hungarian and German languages. Max. capacity: 3 persons: 2 adults and child(ren) under 6. Max. capacity: 4 persons: 3 adults and child(ren) under 6. 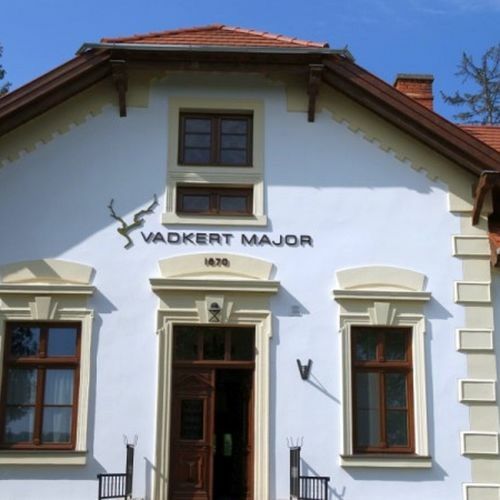 The rating of Vadkert Major Sárvár is 9.4 from the maximum 10, 271 based on actual and valid guest ratings and reviews. "A személyzet segítőkészsége,rugalmassága, kedvessége kiemelkedő. A kávé nagyon finom! Minden a vendég legnagyobb kényelmét szolgálja." "Nagyon meg voltunk elégedve a szállással, kiszolgálással, ételekkel. Nagy adagot kaptunk és ízletes volt. Családi apartmanban szálltunk meg. Nagyon tetszett a modern és a hagyomány ötvözése. A lakberendezőnek 5*. Ugyanez érezhető abban az épületben is, ahol az étterem kapott helyet." Based on the reviews and comments of actual guests, the services of the Vadkert Major Sárvár have received a high rating of 9.3/10.